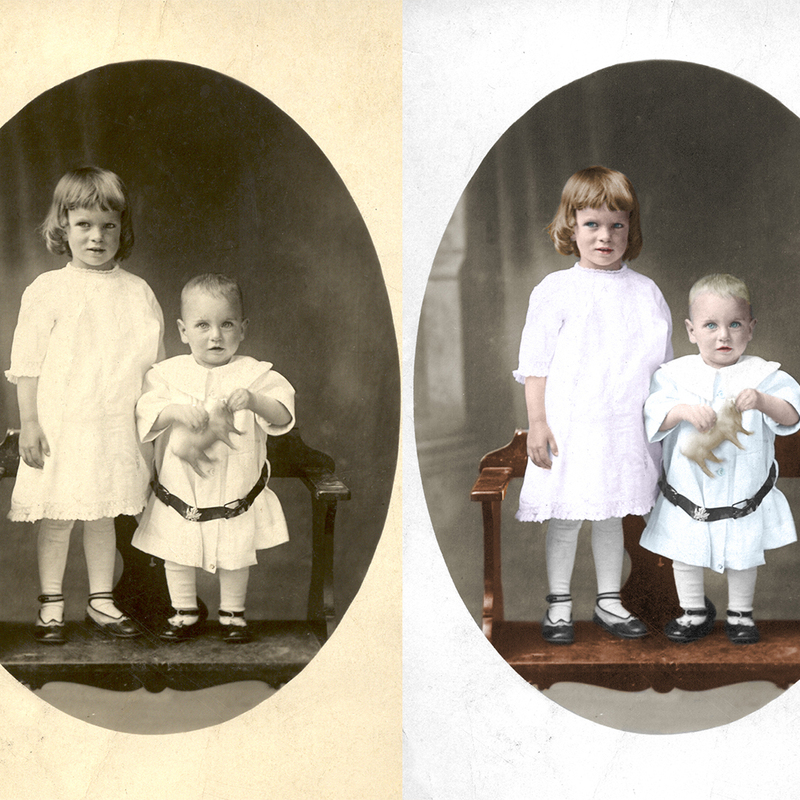 In days gone by, photographers hand tinted photos for their clients. Modern digital techniques let skilled artists create that same effect that can be printed again and again. 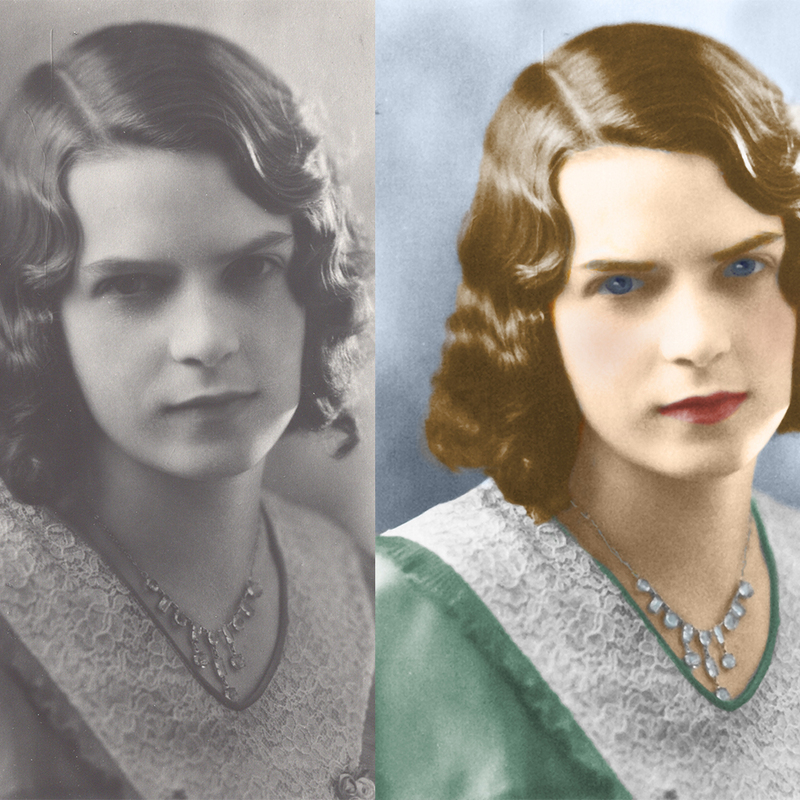 I start with a cleaned and repaired photo and tint it to your old photos according to your specifications. More subjects – contact for quote. Did I repair your photo already? Contact me for 25% off this service. Contact me and make payment arrangements via PayPal or use my Etsy Store for your purchase. Please e-mail your photo(s) at the address I provide you. If your photo was taken by a professional photographer, please include a copy of the photographer’s copyright release form. By submitting your photo(s) to be retouched, you guarantee that you own the full rights to the photo(s) and are permitted to have them retouched. LJP Creative will not be held responsible for any copyright infringement. 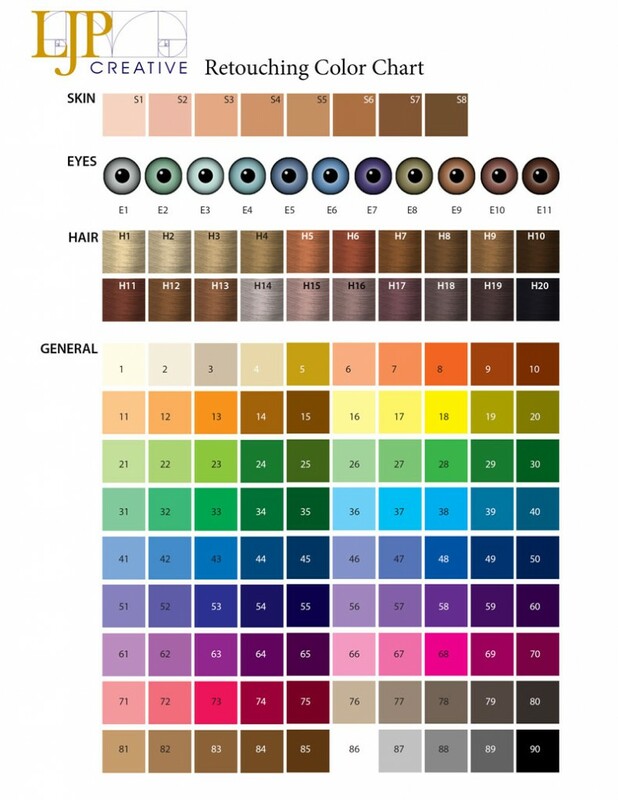 Please indicate any known colors using the numbers on the color reference chart. Enlarge the chart on this page or download PDF. Using colors from the chart is much easier than trying to figure out if I am translating a light emerald green into the right color. Once I have completed your order, I will e-mail you a watermarked preview so that you can make any changes. You are welcome to make as many changes as you would like until you are completely satisfied with your order. Once you approve the final product, I will e-mail you a non-watermarked, final copy. If you have any questions or concerns, please ask at any time, these are your memories.